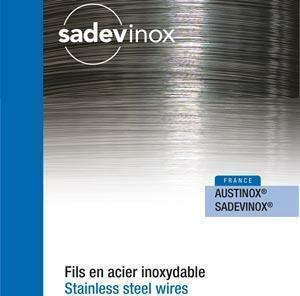 Stainless steel wire provided by Sadevinox, your worldwide solution! Fine stainless steel wire (often referred to as “wet drawn” stainless fine wire) is wire of diameters generally < 0.025” with bright finish due to drawing through diamond dies immersed in oil. Grades of stainless steel fine wire cover the whole range of stainless steels compositions. Such stainless steel fine wire is used in a variety of important applications: weaving fine wire for stainless steel cloth and mesh, knitting stainless steel fine wire for filtration devices, braiding fine wire for stainless steel protected flexible hoses, stranding fine wire for stainless steel cables & wire ropes, fine wire medical stainless steel for devices such as stents & probes. 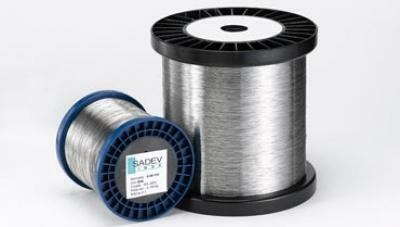 Stranded wire for various types of cables, rigging slings & cables in boats, etc..